Through radical transparency and community rewards, HealthTap aspires to become the default national rating and search destination for patients seeking physicians. If it can better match patients to treatments and doctors than Google, then it's well on its way. Though the Internet has opened up access to much of world's information, finding a specialist for medical advice still requires the age-old process of personally asking a doctor to suggest a trusted colleague. "There's just no way in the world to do it right now, short of going to a primary care physician," says HealthTap founder Ron Gutman, who wants to expose the hidden knowledge that exists among practicing doctors about who the best physicians are for specific treatments. HealthTap, a medical social network for users seeking personalized, public advice from registered doctors, tells Fast Company that it is releasing an eBay-like rating system for its more than 10,000 participating doctors and their relevant expertise. We spoke with Gutman about how his system has incentivized doctors to go against the taboo of cricitizing their peers, how transparency brings credibility to online medical advice, and how HealthTap translates conversational descriptions of symptoms into medical language their doctors can respond to. "Physicians are very loath to criticize each other, for fear that they will be criticized themselves," says Dr. Geoff Rutledge, HealthTap's Chief Medical Information Officer, who was a Harvard medical researcher before being executive at Healtheon, which eventually became WebMD. The taboo against public naysaying, argues Rutledge, has kept the Internet at bay, while other industries are transformed by more openness. HealthTap's solution to encourage doctors to evalute their colleagues was to keep everything positive: Doctors can either agree with a solution proposed by a colleague or offer their own. As with Facebook, on HealthTap, there is no "dislike" button. "By defining everything that's good, you can then choose among all the best answers, without having this aura or fear that individuals are being criticized." Racking up kudos like gold coins in Mario Brothers feeds the ever-present desire for repute in the medical community and a steady supply of patients. As HealthTap grows in size, and reels in more prestigious doctors (Harvard Medical School is the most popular school in the network), HealthTap has the aim of being the most comprehensive national ranking system for doctors. The user interface itself is decked out in referral buttons and awards galore. Answers are accompanied by a giant "thank" button in the top right hand corner, and a doctor's avatar is decorated like a military uniform, with their HealhTap score and expertise placed directly under their name. The doctor profile pages themselves prominently display the total number of patients they've reached, how many lifetime "thanks" and "agrees" they received. Like a wall of plaques in their office, the profile page prominently displays HealthTap's own version of awards, some as silly as the "Healthcliff Huxtable award" for receiving 50 total "thanks." The new "Docscore" will tally all of this into a number, and include "a physician’s network (i.e. what other physicians the doctor in question follows and vice versa, as well as the number and nature of interactions within the network). The number of physicians who refer patients or content to a particular doctor is also taken into account, along with a variety of trust-related data points collected about the physician from other online resources," according to Gutman. In other words, HealthTap aspires to create the national rating sytem for doctors and their expertise, using their own proprietary measures, making them the default rating for medical advice. Yet, the cacophony of awards and ratings begs the question of whether HealthTap's ratings reflect a doctor's actual quality. "At the end of the day, what you are getting as a patient is the physician's community opinion on a certain question," says Gutman. HealthTap, he says, can't objectively verify whether the answers being given or the doctors given them on their network is better than just going straight to a nearby specialist. But, he argues, neither can a doctor's visit: HealthTap simply mimics the process of getting a recommended solution in person, exposes it to a broader network, and lets the patient decide from (ideally) a wider buffet of possible choices. Indeed, it may even incentivize doctors to discuss a point of disagreement more, since they have a vested interest in gaining a network of support. "What HealthTap allows them to do is to go and grow a coalition." 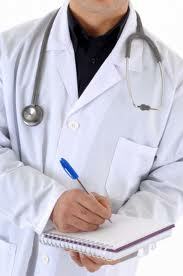 HealthTap does not require board certification, only that they are licensed to practice medicine. In an email expressing concern about HealthTap to the New York Times, American Medical Association President Peter Carmel wrote that he hopes online medical advice can “complement, not replace, the communication between a patient and their physician." For Dr. Rutledge, HealthTap is about exposing more information than was previously available, which allows users to seek out the best specialist who can help them on and offline. "The user can see who has agreed with the answer, so they can evaluate the evaluator, if you will, through the system," he says. In other words, HealthTap is betting that radical transparency and authentic identities can be as meaningful as the otherwise opaque knowledge network that exists among doctors. Searching Google for medical answers can often turn up irrelevant or spam-y results. For example, when this question was searched in Google, "Cellulitis from a spider bite, and hepatitis C. Is this serious?," it wasn't easy to find the fact that Hepititus C could be a serious complication. On HealthTap, their new algorithm alerts specialists and returns a potentially more relevant answer: "Hep C which includes interferon are generally immunesupressed. This is serious and need to be started on antibiotics, and may need intravenous antibiotics as soon as possible depending on the severity of infection," wrote one doctor. In a personal conversation, an experienced physician could quickly translate symptoms and colloquial names into the precise medical language a patient needs to seek more information and the right specialist. To replicate this in-person experience, HealthTap is launching a comprehensive mapping database, to connect all the conventional search terms to their precise medical code. "For example," writes Gutman, "if someone hears that they’re at risk for Marfan’s disease, do they know that they should see a rheumatologist?" If their mapping database can better match patients to treatments and doctors than Google, then HealthTap may be on its (ambitious) way to being the default national rating and search destination. Regardless of how successful their system might be, HealthTap has given us a glimpse of how radical transparency and gaming can change the profession of medicine. In the United States, direct primary care (DPC) is primary care offered directly to the consumer, without insurance intervention. It is an umbrella term, incorporating various health care delivery systems that involve direct financial relationships between patients and health care providers. One niche variant of direct primary care is concierge medicine. 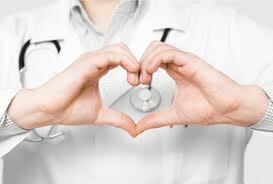 Direct primary care is intended to remove many of the financial barriers of healthcare. Often, there are no insurance co-pays, deductibles or co-insurance fees thus avoiding the overhead and complexity of maintaining relationships with insurers. Under this model, patients may pay a combination of visit fees and/or fixed monthly fees which grant them access to a set of medical services, including same and next-day appointments, both in the form of house-calls and office visits. A health savings account, or health reimbursement account as the associated tax-benefits can generally be applied to DPC and other medical expenses. Direct primary care practices do not typically accept insurance payments, thus avoiding the overhead and complexity of maintaining relationships with insurers, which can take as much as $0.40 of each medical dollar spent. Because direct primary care payments are typically paid over time, rather than in return for specific services, the economic incentives are such that the long-term health of the patient is the most lucrative situation for the doctor. As such, preventative care gains greater emphasis under DPC. Because the primary care physician is better compensated than they would be under insurance billing, they can afford to spend more time with the patient, rather than simply referring them to a highly-paid specialist after a short consultation. mHealth (also written as m-health or mobile health) is a term used for the practice of medicine and public health, supported by mobile devices. The term is most commonly used in reference to using mobile communication devices, such as mobile phones, tablet computers and PDAs, for health services and information. The mHealth field has emerged as a sub-segment of eHealth, the use of information and communication technology (ICT), such as computers, mobile phones, communications satellite, patient monitors, etc., for health services and information. mHealth applications include the use of mobile devices in collecting community and clinical health data, delivery of healthcare information to practitioners, researchers, and patients, real-time monitoring of patient vital signs, and direct provision of care (via mobile telemedicine). While mHealth certainly has application for industrialized nations, the field has emerged in recent years as largely an application for developing countries, stemming from the rapid rise of mobile phone penetration in low-income nations. The field, then, largely emerges as a means of providing greater access to larger segments of a population in developing countries, as well as improving the capacity of health systems in such countries to provide quality healthcare. Within the mHealth space, projects operate with a variety of objectives, including increased access to healthcare and health-related information (particularly for hard-to-reach populations); improved ability to diagnose and track diseases; timelier, more actionable public health information; and expanded access to ongoing medical education and training for health workers. According to the analyst firm Berg Insight, around 2.2 million patients worldwide were using a home monitoring service based on equipment with integrated connectivity at the end of 2011. The figure does not include patients that use monitoring devices connected to a PC or mobile phone. It only includes systems that rely on monitors with integrated connectivity or systems that use monitoring hubs with integrated cellular or fixed-line modems. Berg Insight forecasts that the number of home monitoring systems with integrated communication capabilities will grow at a compound annual growth rate (CAGR) of 18.0 percent between 2010 and 2016 reaching 4.9 million connections globally by the end of the forecast period. The number of these devices that have integrated cellular connectivity increased from 0.42 million in 2010 to about 0.57 million in 2011, and is projected to grow at a CAGR of 34.6 percent to 2.47 million in 2016. Mobile eHealth or mHealth broadly encompasses the use of mobile telecommunication and multimedia technologies as they are integrated within increasingly mobile and wireless health care delivery systems. 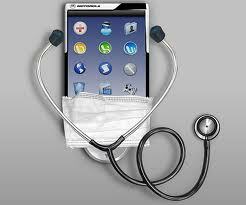 The field broadly encompasses the use of mobile telecommunication and multimedia technologies in health care delivery. The term mHealth was coined by Professor Robert Istepanian as use of "emerging mobile communications and network technologies for healthcare." A definition used at the 2010 mHealth Summit of the Foundation for the National Institutes of Health (FNIH) was “the delivery of healthcare services via mobile communication devices”. While there are some projects that are considered solely within the field of mHealth, the linkage between mHealth and eHealth is unquestionable. For example, an mHealth project that uses mobile phones to access data on HIV/AIDS rates would required an eHealth system in order to manage, store, and assess the data. Thus, eHealth projects many times operate as the backbone of mHealth projects. In a similar vein, while not clearly bifurcated by such a definition, eHealth can largely be viewed as technology that supports the functions and delivery of healthcare, while mHealth rests largely on providing healthcare access. Because mHealth is by definition based on mobile technology such as IPhones, healthcare, through information and delivery, can better reach areas, people, and/or healthcare practitioners with previously limited exposure to certain aspects of healthcare. MHealth is one aspect of eHealth which is pushing the limits of how to acquire, transport, store, process, and secure the raw and processed data to deliver meaningful results. mHealth offers the ability of remote individuals to participate in the health care value matrix, which may not have been possible in the past. Participation does not imply just consumption of health care services. In many cases remote users are valuable contributors to gather data regarding disease and public health concerns such as outdoor pollution, drugs and violence. 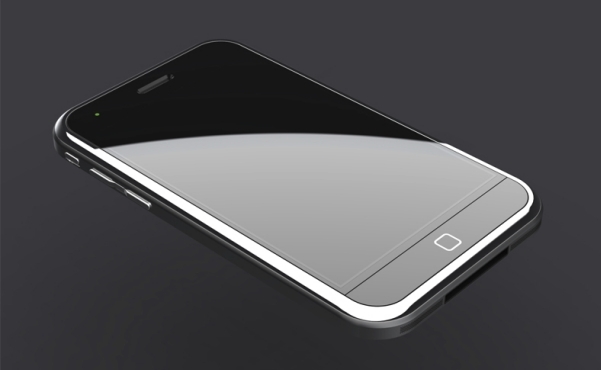 The motivation behind the development of the mHealth field arises from two factors. The first factor concerns the myriad constraints felt by healthcare systems of developing nations. These constraints include high population growth, a highburden of disease prevalence, low health care workforce, large numbers of rural inhabitants, and limited financial resources to support healthcare infrastructure and health information systems. The second factor is the recent rapid rise in mobile phone penetration in developing countries to large segments of the healthcare workforce, as well as the population of a country as a whole. With greater access to mobile phones to all segments of a country, including rural areas, the potential of lowering information and transaction costs in order to deliver healthcare improves. The combination of these two factors have motivated much discussion of how greater access to mobile phone technology can be leveraged to mitigate the numerous pressures faced by developing countries’ healthcare systems. Both factors are discussed here. Disability-adjusted life year for all causes per 100,000 inhabitants in 2004. Middle income and especially low-income countries face a plethora of constraints in their healthcare systems. These countries face a severe lack of human and physical resources, as well as some of the largest burdens of disease, extreme poverty, and large population growth rates. Additionally, healthcare access to all reaches of society is generally low in these countries. According to a World Health Organization (WHO) report from June 2011, higher-income countries show more mHealth activity than do lower-income countries (as consistent with eHealth trends in general). Countries in the European Region are currently the most active and those in the African Region the least active. The WHO report findings also included that mHealth is most easily incorporated into processes and services which historically use voice communication through conventional telephone networks. The report was the result of a mHealth survey module designed by researchers at the Earth Institute's Center for Global Health and Economic Development, Columbia University. The WHO notes an extreme deficit within the global healthcare workforce. The WHO notes critical healthcare workforce shortages in 57 countries—most of which are characterized as developing countries—and a global deficit of 2.4 million doctors, nurses, and midwives. The WHO, in a study of the healthcare workforce in 12 countries of Africa, finds an average density of physicians, nurses and midwives per 1000 population of 0.64. The density of the same metric is four times as high in the United States, at 2.6. The burden of disease is additionally much higher in low- and middle-income countries than high-income countries. The burden of disease, measured in disability-adjusted life year (DALY), which can be thought of as a measurement of the gap between current health status and an ideal situation where everyone lives into old age, free of disease and disability, is about five times higher in Africa than in high-income countries. In addition, low- and middle-income countries are forced to face the burdens of both extreme poverty and the growing incidence of chronic diseases, such as diabetes and heart disease, an effect of new-found (relative) affluence. Considering poor infrastructure and low human resources, the WHO notes that the healthcare workforce in sub-Saharan Africa would need to be scaled up by as much as 140% to attain international health development targets such as those in the Millennium Declaration. The link between health and development can be found in three of the Millennium Development Goals (MDGs), as set forth by the United Nations Millennium Declaration in 2000. The MDGs that specifically address health include reducing child mortality; improving maternal health; combating HIV and AIDS, malaria, and other diseases; and increasing access to safe drinking water. 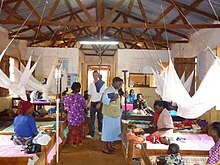 A progress report published in 2006 indicates that childhood immunization and deliveries by skilled birth attendants are on the rise, while many regions continue to struggle to achieve reductions in the prevalence of the diseases of poverty including malaria, HIV and AIDS and tuberculosis. Mobile technology has made a recent and rapid appearance into low- and middle-income nations. While, in the mHealth field, mobile technology usually refers to mobile phone technology, the entrance of other technologies into these nations to facilitate healthcare are also discussed here. Mobile phones have made a recent and rapid entrance into many parts of the low- and middle-income world, with the global Mobile phone penetration rate drastically increasing over the last decade. Improvements in telecommunications technology infrastructure, reduced costs of mobile handsets, and a general increase in non-food expenditure have influenced this trend. Low- and middle-income countries are utilizing mobile phones as “leapfrog technology” (see leapfrogging). That is, mobile phones have allowed many developing countries, even those with relatively poor infrastructure, to bypass 20th century fixed-line technology and jump to modern mobile technology. The number of global mobile phone subscribers in 2007 was estimated at 3.1 billion of an estimated global population of 6.6 billion (47%). These figures are expected to grow to 4.5 billion by 2012, or a 64.7% mobile penetration rate. The greatest growth is expected in Asia, the Middle East, and Africa. In many countries, the number of mobile phone subscribers has by-passed the number of fixed-line telephones, this is particularly true in developing countries. Globally, there were 4.1 billion mobile phones in use in December 2008 . See List of countries by number of mobile phones in use. While mobile phone penetration rates are on the rise, globally, the growth within countries is not generally evenly distributed. In India, for example, while mobile penetration rates have increased markedly, by far the greatest growth rates are found in urban areas. Mobile penetration, in September 2008, was 66% in urban areas, while only 9.4% in rural areas. The all India average was 28.2% at the same time. So, while mobile phones may have the potential to provide greater healthcare access to a larger portion of a population, there are certainly within-country equity issues to consider. Mobile phones are spreading because the cost of mobile technology deployment is dropping and people are, on average, getting wealthier in low- and middle-income nations. Vendors, such asNokia, are developing cheaper infrastructure technologies (CDMA) and cheaper phones (sub $50–100, such as Sun's Java phone). 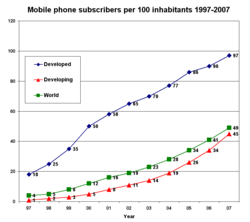 Non-food consumption expenditure is increasing in many parts of the developing world, as disposable income rises, causing a rapid increase spending on new technology, such as mobile phones. In India, for example, consumers have become and continue to become wealthier. Consumers are shifting their expenditure from necessity to discretionary. For example, on average, 56% of Indian consumers’ consumption went towards food in 1995, compared to 42% in 2005. The number is expected to drop to 34% by 2015. That being said, although total share of consumption has declined, total consumption of food and beverages increased 82% from 1985 to 2005, while per-capita consumption of food and beverages increased 24%. Indian consumers are getting wealthier and they are spending more and more, with a greater ability to spend on new technologies. Basic SMS functions and real-time voice communication serve as the backbone and the current most common use of mobile phone technology. The broad range of potential benefits to the health sector that the simple functions of mobile phones can provide should not be understated. The appeal of mobile communication technologies is that they enable communication in motion, allowing individuals to contact each other irrespective of time and place. This is particularly beneficial for work in remote areas where the mobile phone, and now increasingly wireless infrastructure, is able to reach more people, faster. As a result of such technological advances, the capacity for improved access to information and two-way communication becomes more available at the point of need. More advanced mobile phone technologies are enabling the potential for further healthcare delivery. Smartphone technologies are now in the hands of a large number of physicians and other healthcare workers in low- and middle-income countries. Although far from ubiquitous, the spread of Smartphone technologies opens up doors for mHealth projects such as technology-based diagnosis support, remote diagnostics and telemedicine, web browsing, GPS navigation, access to web-based patient information, and decentralized health management information systems (HMIS). While uptake of Smartphone technology by the medical field has grown in low- and middle-income countries, it is worth noting that the capabilities of mobile phones in low- and middle-income countries has not reached the sophistication of those in high-income countries. The infrastructure that enables web browsing, GPS navigation, and email through Smartphones is not as well developed in much of the low- and middle-income countries. Increased availability and efficiency in both voice and data-transfer systems in addition to rapid deployment of wireless infrastructure will likely accelerate the deployment of mobile-enabled health systems and services throughout the world. Beyond mobile phones, wireless-enabled laptops and specialized health-related software applications are currently being developed, tested, and marketed for use in the mHealth field. Many of these technologies, while having some application to low- and middle-income nations, are developing primarily in high-income countries. However, with broad advocacy campaigns for free and open source software (FOSS), applications are beginning to be tailored for and make inroads in low- and middle-income countries. Technologies relates to the Operating Systems which orchestrate mobile device hardware while maintaining confidentiality, integrity and availability are required to build trust. This may foster greater adoption of mHealth Technologies and Services, by exploiting lower cost multi purpose mobile devices such as tablets pcs and smart phones. Devices in this class may include Apple's iPad 1&2 and Motorola's Xoom. Operating systems which control these emerging classes of devices include Google’s Android, Apple’s iPhone OS, Microsoft's Windows Mobile, Nokia Symbian OS and RIM's BlackBerry OS. Operating Systems must be agile and evolve to effectively balance and deliver the desired level of service to an application and end user, while managing display real estate, power consumption and security posture. As advances in capabilities such as integrating voice, video and Web 2.0 collaboration tools into mobile devices, significant benefits can be achieved in the delivery of health care services. New sensor technologies such as HD video and audio capabilities, accelerometers, GPS, ambient light detectors, barometers and gyroscopes can enhance the methods of describing and studying cases, close to the patient or consumer of the health care service. This could include diagnosis, education, treatment and monitoring. Environmental conditions have a significant impact to public health. Per the World Health Organization, outdoor air pollution accounts for about 1.4% of total mortality. Utilizing Participatory sensing technologies in mobile telephone, public health research can exploit the wide penetration of mobile devices to collect air measurements, which can be utilize to assess the impact of pollution. Projects such as the Urban Atmospheres are utilizing embedded technologies in mobile phones to acquire real time conditions from millions of user mobile phones. By aggregating this data, public health policy shall be able to craft initiatives to mitigate risk associated with outdoor air pollution. Data has become an especially important aspect of mHealth. Data collection requires both the collection device (mobile phones, computer, or portable device) and the software that houses the information. Data is primarily focused on visualizing static text but can also extend to interactive decision support algorithms, other visual image information, and also communication capabilities through the integration of e-mail and SMS features. Integrating use of GIS and GPS with mobile technologies adds a geographical mapping component that is able to “tag” voice and data communication to a particular location or series of locations. These combined capabilities have been used for emergency health services as well as for disease surveillance, health facilities and services mapping, and other health-related data collection. The mHealth field operates on the premise that technology integration within the health sector has the great potential to promote a better health communication to achieve healthy lifestyles, improve decision-making by health professionals (and patients) and enhance healthcare quality by improving access to medical and health information and facilitating instantaneous communication in places where this was not previously possible. It follows that the increased use of technology can help reduce health care costs by improving efficiencies in the health care system and promoting prevention through behavior change communication (BCC). The mHealth field also houses the idea that there exists a powerful potential to advance clinical care and public health services by facilitating health professional practice and communication and reducing health disparities through the use of mobile technology. Efforts are ongoing to explore how a broad range of technologies, and most recently mHealth technologies, can improve such health outcomes as well as generate cost savings within the health systems of low- and middle-income countries. In some ways, the potential of mHealth lies in its ability to offer opportunities for direct voice communication (of particular value in areas of poor literacy rates and limited local language-enable phones) and information transfer capabilities that previous technologies did not have. Overall, mobile communication technologies are tools that can be leveraged to support existing workflows within the health sector and between the health sector and the general public. While others exist, the UN Foundation and Vodafone Foundation report presents six application categories within the mHealth field. Each application category as well as specific project within the category will be described. Education and awareness programs within the mHealth field are largely about the spreading of mass information from source to recipient through short message services (SMS). In education and awareness applications, SMS messages are sent directly to users’ phones to offer information about various subjects, including testing and treatment methods, availability of health services, and disease management. SMSs provide an advantage of being relatively unobtrusive, offering patients confidentiality in environments where disease (especially HIV/AIDS) is often taboo. Additionally, SMSs provide an avenue to reach far-reaching areas—such as rural areas—which may have limited access to public health information and education, health clinics, and a deficit of healthcare workers. South Africa Project Masiluleke 276 Million text messages –one million per day –being sent (2008–2009). 1,060,000 calls answered. Messages in local languages are especially well received. Build awareness of HIV status, encourage HIV/AIDS testing and treatment and halt the disease’s spread. 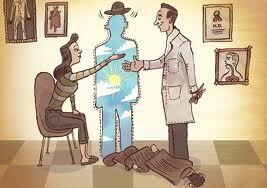 Stigma is a major barrier, causing people to only seek care very late in the illness. SMS message campaign promoting HIV/AIDS awareness resulted in nearly a tripling of call volume to a local HIV/AIDS helpline. Praekelt Foundation, iTeach, National Geographic, Nokia Siemens Networks, MTN, Ghetto Ruff, Children of South African Legacies, Aricent, PopTech!, frog design and National AIDS Helpline ‘Please Call Me’ service -free text messages. 95% of South Africa uses prepaid cellular plans, and can send “please call me” message. There is 120 empty characters left in a “please call me” SMS message. MTN has allowed program to use total inventory of “please call me” messages. India Tele-Doc 2003 Launched as a pilot project in 15 villages in Haryana in April 2003 TeleDoc provided handheld mobile phone devices to village health workers in India, permitting them to communicate with doctors who use a web application to help diagnose and prescribe for patients. TeleDoc was a project of Jiva Institute, an India-based non-profit. Supported by the Soros Foundation. The approximate cost of the entire TeleDoc process was 70 rupees (US$1.50) per consultation. Uganda, Mozambique AED Satellife Information and communications technologies (ICT) initiatives through the USA-based not-for-profit Academy for Educational Development providing support for HIV/AIDS, malaria, child and maternal health, and health systems management programs. Policymakers and health providers at the national, district, and community level need accurate data in order to gauge the effectiveness of existing policies and programs and shape new ones. In the developing world, collecting field information is particularly difficult since many segments of the population are rarely able to visit a hospital, even in the case of severe illness. A lack of patient data creates an arduous environment in which policy makes can decide where and how to spend their (sometimes limited) resources. While some software within this area is specific to a particular content or area, other software can be adapted to any data collection purpose. Voxiva Health Watch  Voxiva HealthWatch is an integrated surveillance platform used by public health agencies around the world to support integrated disease surveillance, syndromic surveillance, and coordinated response. Thailand Name? TB patients were given mobile phones and called daily with a reminder to take their TB medication 90% of patients took their medication.
? DIMA Dietary Intake Monitoring Application 2009 6-week pilot study with 20 participants. Mobile health application for dietary insight for a chronically Ill, low-literacy diabetic population The device has a voice recorder and a bar code scanner. By the end of the study the participants were only using the voice recorder. Patients use "beam" bar code scanner more easily than pen bar code scanner. The device was not stigmatizing, rather seen as a status symbol. SIMpill  SMS appliance that monitors medicine compliance by sending a text message when the patient takes medicine. According to Vodafone Group Foundation on February 13, 2008, a partnership for emergency communications was created between the group and United Nations Foundation. Such partnership will increase the effectiveness of the information and communications technology response to major emergencies and disasters around the world. Being connected by mobile health services, different novel networking among various entities, (which were previously isolated) directly or indirectly related to health care delivery mechanism, are on the verge of development. This networking is now being known as mHealth Ecosystem.